Jonathan Harvey is a comedy writer who to date has written more than one hundred episodes of Coronation Street. 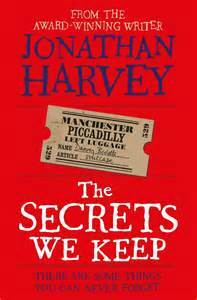 Kathy Burke recently recommended “The Secrets We Keep” on Twitter. I love Corrie and I love Kathy Burke and that is how I ended up with Harvey’s fourth novel in my hands. This is the story of Danny Bioletti, his wife Natalie and their children Owen and Cally. Five years ago Danny went out for a pint of milk and never came back. His devastated family were left to pick up the pieces living in the glare of the media on a posh new estate with over-friendly, nosey neighbours. After his disappearance Danny’s car was found at Beachy Head and so is presumed by all to have taken his life. But when the family find a left luggage ticket in the pocket of one of his old coats, Natalie starts to wonder if he is actually still alive and if he is, where could he be? She begins her own whirlwind of investigations and needless to say, she doesn’t like all that she finds. This is a superbly presented book containing the personal writings of one of the most influential songwriters and performers of the late 20th Century – Joy Division’s Ian Curtis. 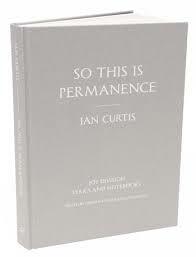 So this is permanence is a collection put together by Jon Savage and Deborah Curtis from Ian’s surviving lyrics, notes, fan mail, fanzines and book covers from his personal library. 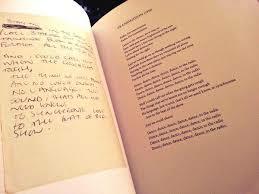 As a huge Joy Division fan and an admirer of great lyricists, I could not wait to get my hands on it. In the late 1970s, Manchester was an industrial city in decline. During this time, Ian Curtis isolated himself with his books and his writing. 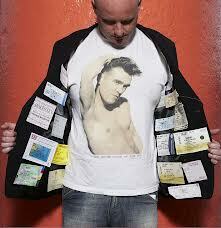 His songs were groundbreaking and his band became the iconic sound of that time. All the product of the scribbled on office paper he used to carry around in a plastic bag. In my opinion, his lyrics presented here don’t just reflect his personal struggles with depression, epilepsy and stage-fright, but are also proof of how influenced he was by literature. He read widely from Holocaust fiction to Oscar Wilde. 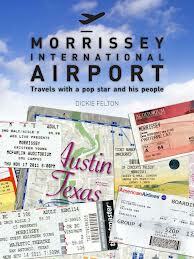 As you may have already sensed from this blog, I am a huge Morrissey fan. It was the legendary singer and a recent trip to The Lowry giftshop in Manchester that finally led me to buying and reading this highly acclaimed play. Morrissey famously once said; “I’ve never made any secret of the fact that at least 50 per cent of my reason for writing can be blamed on Shelagh Delaney.” Set in the ‘today’ of her northern, industrial Salford you can see why A Taste of Honey appeals so greatly to him. Delaney was a solo female voice in a wave of 1950s gritty British writing as Morrissey (in my opinion) has often been the only voice in contemporary gritty British song-writing. A Taste of Honey was Shelagh Delaney’s first play and one that she is most remembered for. It received huge critical and commercial success at the time which led to the 1961 film adaptation scripted by Delaney herself. The play is a poignant and simple story about teenage Jo, and the fiery relationship she has with her irresponsible mother, Helen. Jo becomes pregnant by a Nigerian sailor who soon leaves her. Gay art student Geoffrey moves in to help Jo with the baby after Helen runs off with her latest fancy-man. Jo remains resilient and optimistic throughout their grim existence in her shabby Salford lodgings. It was the first play to feature a black man and gay man and became regarded as ahead of its time due its progressive understanding of social and sexual outsiders. Ahead of and of its time it maybe, but that does nothing to diminish its dialogue and themes as a great read for here and now. The exchanges between Jo and Helen are sharp, witty, cruel and equally peppered with dramatic revelations and the stuff of everyday grind. I loved it. I found it funny and tragic and at turns a harrowing reminder of how times and attitudes have changed.